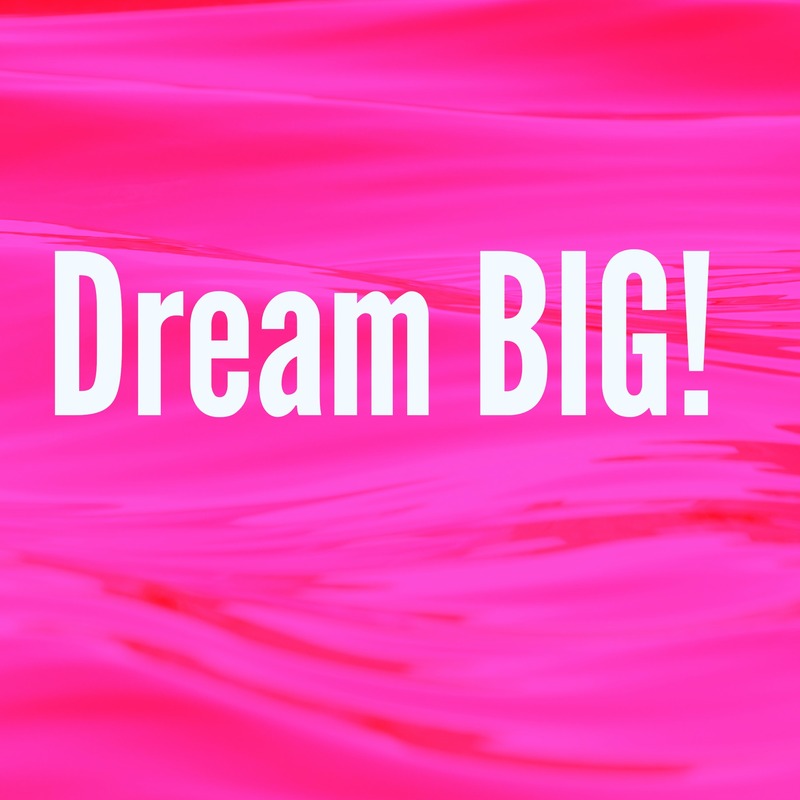 Home » Daily Encouragement » Dream BIG! Living Out Your Dreams – No Matter What! Dream BIG! Living Out Your Dreams – No Matter What! I’m a dreamer – and I like to dream BIG. When I stop and think about my life, I like to think beyond today. I’m constantly trying to prepare for and imagine a brighter and better tomorrow. How can I change the world? Who can I impact? What can I build for my family? People have said that our dreams are our realities in waiting, and the first step to success. Dreams motivate us. Dreams inspire us. Dreams allow us the opportunity to believe that things can get better. Our dreams are a catalyst to hope; a powerful force not to be underestimated. While many dream of fame, fortune, influence, and power – others have dreams that center around home and family. You may dream of a better future for your children. You might dream about a newer/bigger home or perhaps the means to provide for your children without assistance. You may dream of a promotion or the freedom to quit your job. You may want to venture out and start a business. Perhaps you dream of finding a close circle of friends. No matter what your dreams may be – keep dreaming. But what happens when your dreams are covered in “schmutz” so to speak? I took this photo of myself a few days ago. 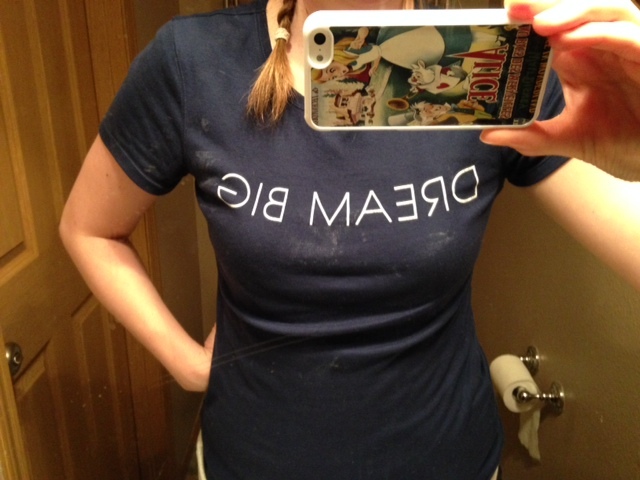 My husband bought me this t-shirt and I couldn’t love it more. But, as I was looking at myself, I realized I was covered in an array of sticky dirty mess. I was reminded that dreaming can be a messy undertaking….especially if you want to act on your dreams. Dreaming is easy. Putting your dreams into motion takes guts. When we seek to move beyond the realm of “what if” and step into the realm of “what can I do?”, life can get uncomfortable. But dreams never just fall into our lap. Sadly, no one is going to show up at my door with keys to a home on acreage and a book deal. I have to work for it. I have to keep going even when I want to quit. I have to push through the struggles and find ways around the hurdles. I have to make changes. But it’s worth it. It’s when we encounter the discomfort that we find out just how badly we want something. It’s when we discover our “fight.” Trials and hurdles awaken tenacity. What is your dream? What do you hunger for? What do you long to see happen or change in your life? What would you love to accomplish? What would you love to pursue or conquer? Don’t allow the discomfort and “dirt” that comes from changing your life to live out a dream discourage you. It’s never easy. Never. It’s always worth it. Try or fail – you went for it. You acted. You stepped off the sidelines and happened to your life. You are capable of so much more than you can imagine. The power that is within you is unreal. Tap into it. Lean in to your dreams. Let go of the fears and doubts that are holding you back. Dream – and dream BIG.